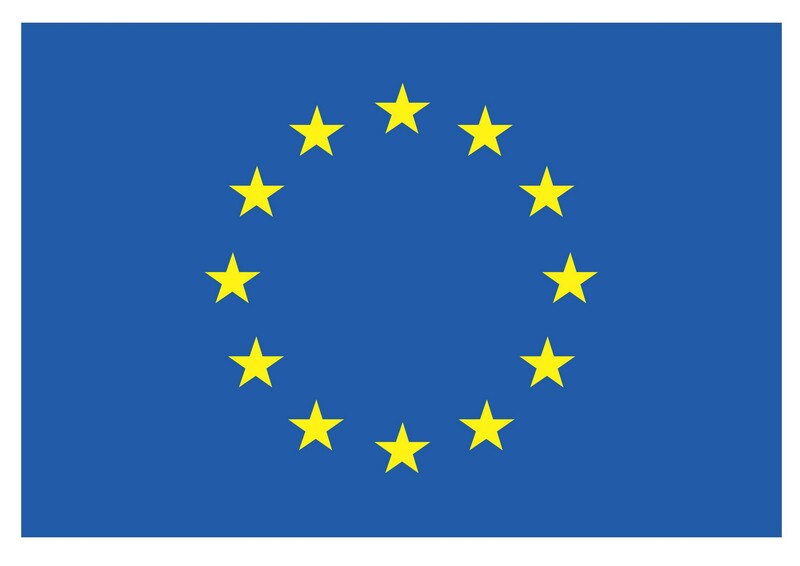 The MyLeg project has been awarded by the European Union in the Horizon 2020 Framework Program within the H2020-ICT-2017-1 call for Research and Innovation Actions on Advanced Robot Capabilities Research and Take-up. Duration: January 1, 2018 – December 31, 2021 Cost: 4.5 Million Euro, Project ID: 780871. 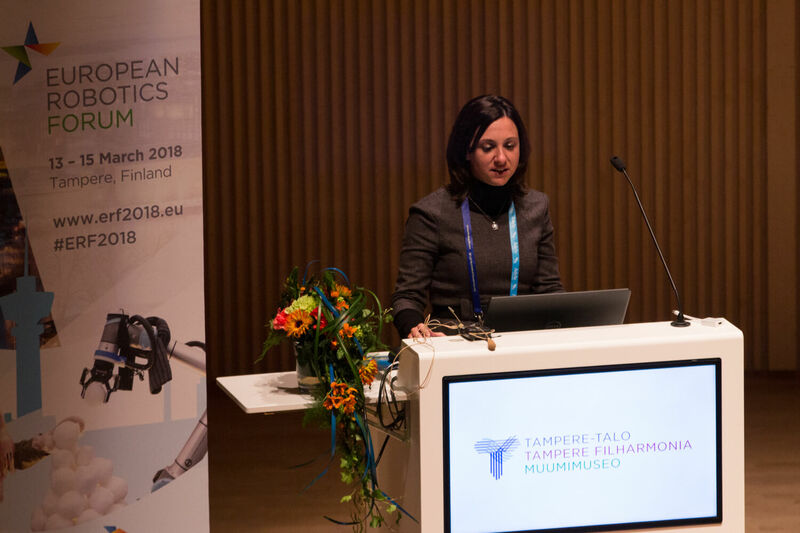 The MyLeg project was presented by Raffaella Carloni (RUG) at the European Robotics Forum 2018 (ERF 2018) in Tampere (Finland). 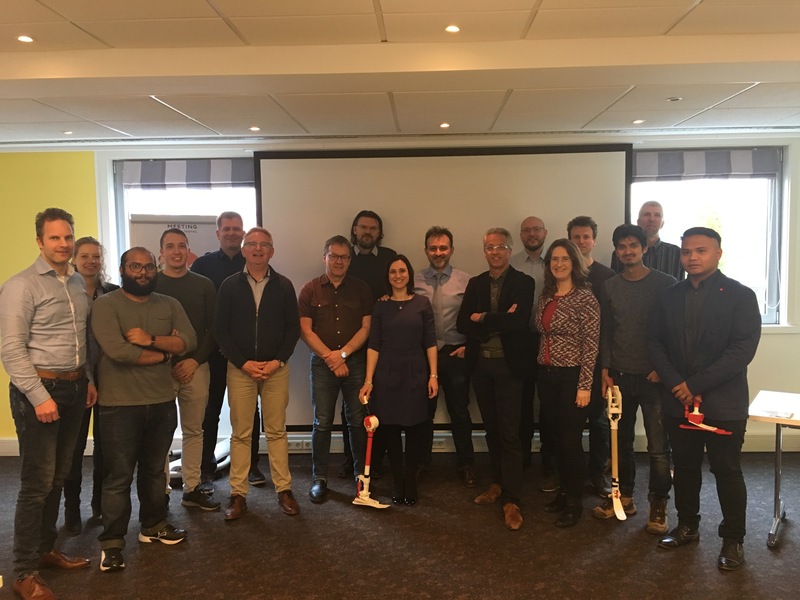 The MyLeg project kicked-off at the premises of the University of Groningen. 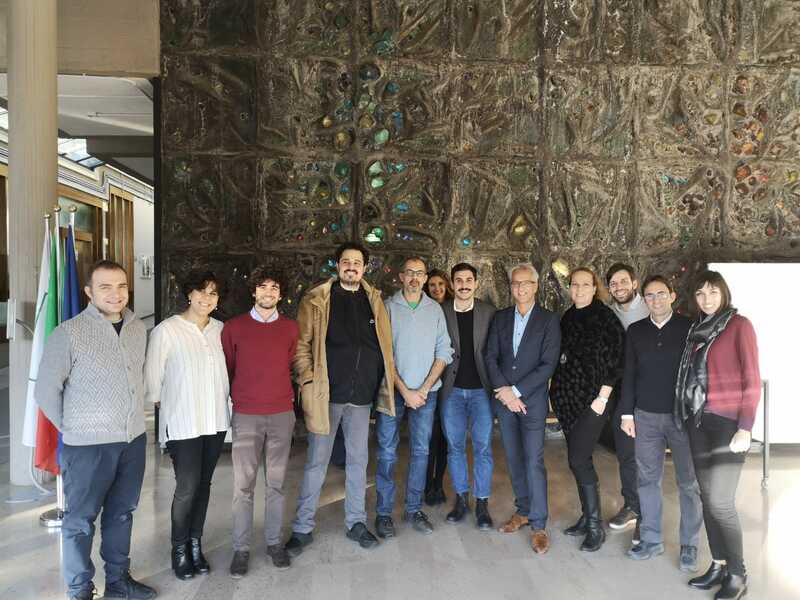 All partners have been represented and the meeting has provided a fruitful basis for delivering the project’s objectives in accordance with the project’s Description of Action. 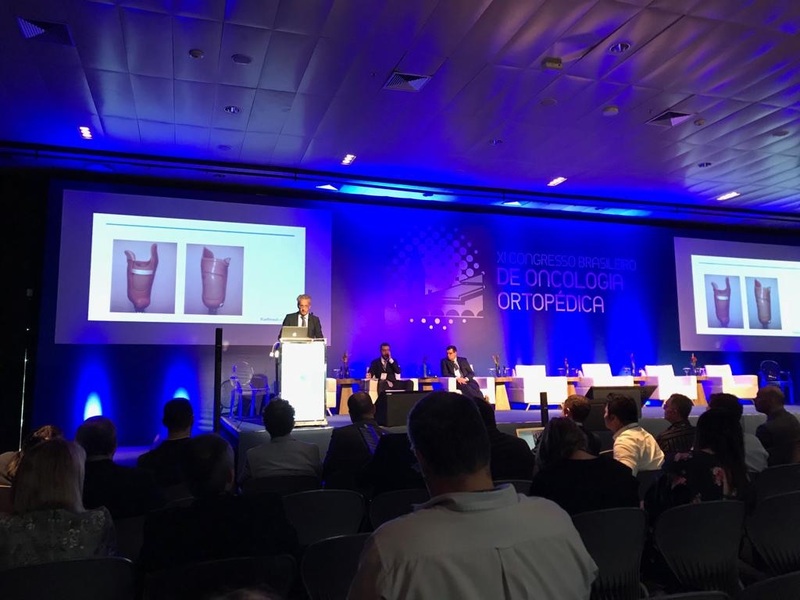 The MyLeg project was presented by Henk van de Meent (RUMC) at the XI Congresso Brasileiro de Oncologia Ortopédica in Belém (Brazil). 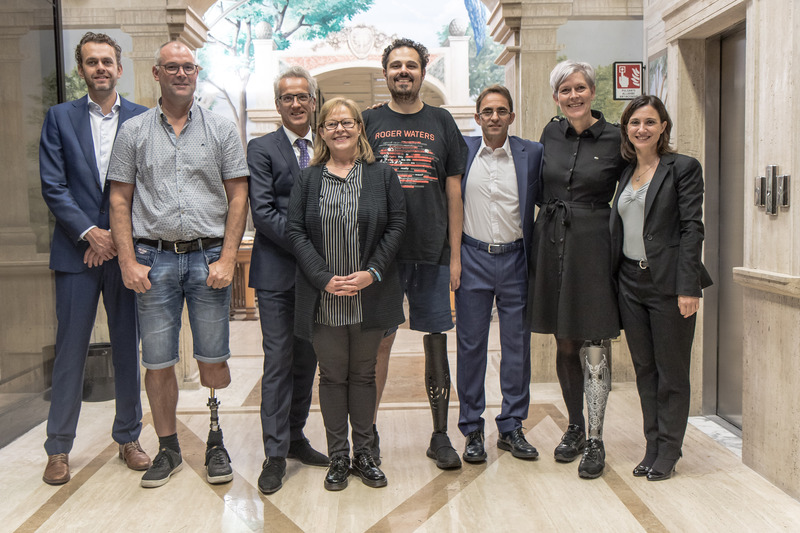 The Amputee Osseointegration Foundation Italy visited the Radboud Medical Center Nijmegen (The Netherlands). 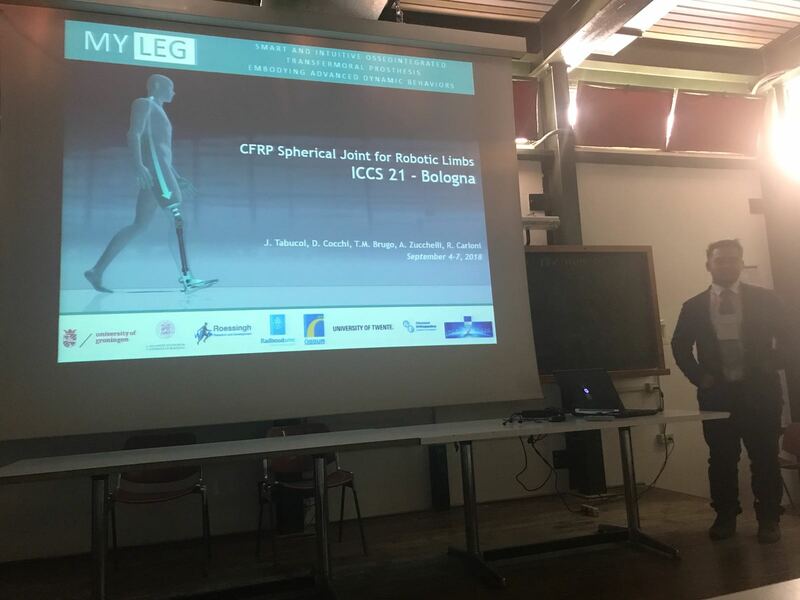 The MyLeg project was presented by Johnnidel Tabucol (UNIBO) at the International Conference on Composite Structures in Bologna (Italy). 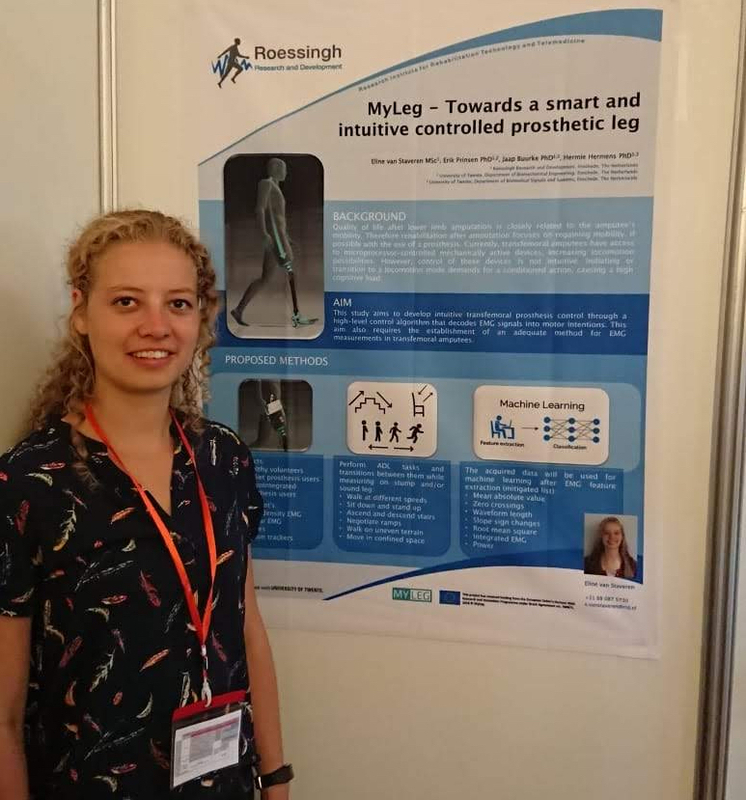 The MyLeg project was presented by Eline van Staveren (RRD) at the Summer School on Neurorehabilitation in Baiona (Spain). MyLeg at the Congress on "Osteointegrazione: L’evoluzione in campo chirurgico e ortoprotesico"
The MyLeg project was presented by Raffaella Carloni (RUG) and by Henk van de Meent (RUMC) at the Congress on "Osteointegrazione: L’evoluzione in campo chirurgico e ortoprotesico" organized by the Amputee Osseointegration Foundation Europe in Rome (Italy). 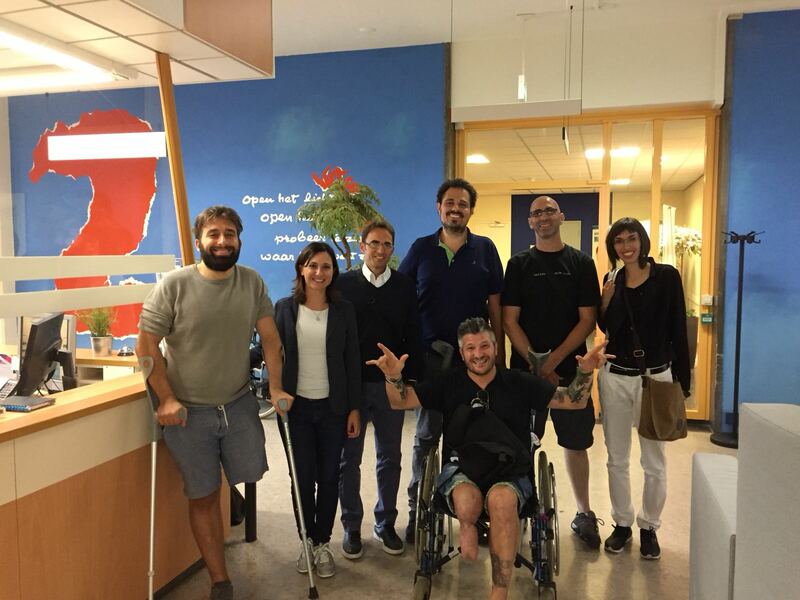 MyLeg meets the Italian project MeTAcOs at the Istituto Ortopedico Rizzoli (Bologna, Italy). 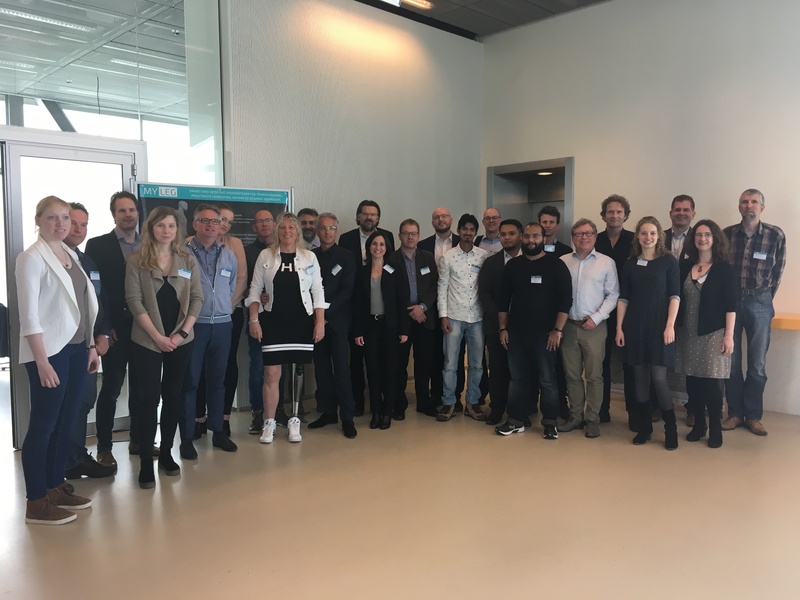 The MyLeg first integration week was held at the premises of the University of Groningen (The Netherlands). 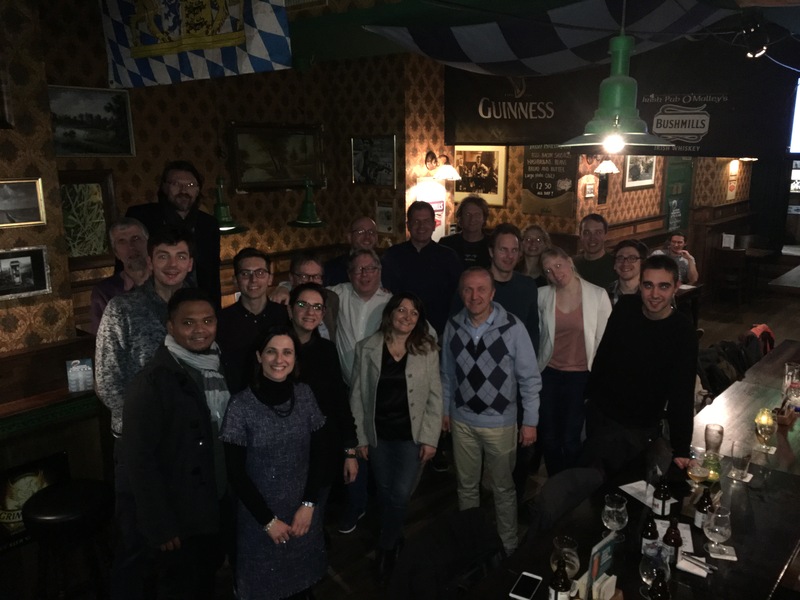 The MyLeg first review meeting was held in Luxembourg (Luxembourg), at the premises of the European Community. MyLeg was predented by Eric Prinsen (RRD) at the ISPO (International Society for Prosthetics and Orthotics) Netherlands Annual Congress "Innovatieve Technologie in de Zorg" in Utrecht (The Netherlands).